Go ahead, ask me the one food I can not turn down and cannot stop eating. Go ahead…I’ll give you a hint. If you bet I couldn’t eat just one, you would be 100% correct! Chips. The salt. The crunch. The crispness. I can’t get enough and can’t turn them down. In current years, there have been some healthy changes in chips, using better oils, and baking them make them a little better for you. But baked chips taste like cardboard, and there is no way that large amounts of Olestra can be good for you. So, when I ready my Healthy Snack Wednesday partner in crime’s post about Sweets & Beets, my Healthy Snack Wednesday idea was born! Beet Chips it is! And I didn’t stop there. I also created a company-ready treat from these delicious bites that is reminiscent of the blue cheese topped homemade chips that are fairly popular in restaurants these days. The best part about these chips, the nutritional value! Beets are low in calories (37 calories per 1/2 cup), high in fiber (2 grams per 1/2 cup), and have zero fat! I also was able to purchase local beets, which made me happy. Although the local beets weren’t as pretty (on the outside) as the “other beets”, they sure were beautiful (and tasty) on the inside…which is WAY more important. With just a squirt of cooking spray, and a sprinkle of Dave Eat’s Tabasco Flavored Salt (I used the hot salt to give it a nice kick! ), these are the healthiest salty, crunchy snack around! 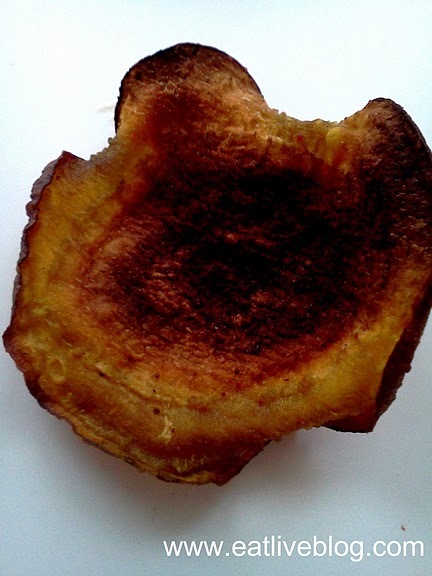 Baking time depends on several things: thickness of slices, type of beets, ripeness, your oven…these can burn quickly, so make sure to watch them. Remove chips from oven, place on serving plate, drizzle with the sour cream mixture and serve! Disclosure: Dave, of Dave Eats!, is the husband of a great friend of mine from all the way back in elementary school! Not only is Dave a great guy, but he makes amazing spices! I was provided samples of Dave Eats! spices to try, but was not required to review them. My opinions of the product are, as always, my own, but…come on! You guys know me, it is SPICY SALT, of course I love it! Pepperidge Farm Deli Flats Winners! Thank you to everyone who entered the Deli Flats Giveaway! It is now time to announce the 3 lucky readers who each won 2 packs of Pepperidge Farm Deli Flats! Please email me renh77 at gmail dot com with your address and your prize will be mailed to you! Congrats! Enjoy your Deli Flats! I certainly did! 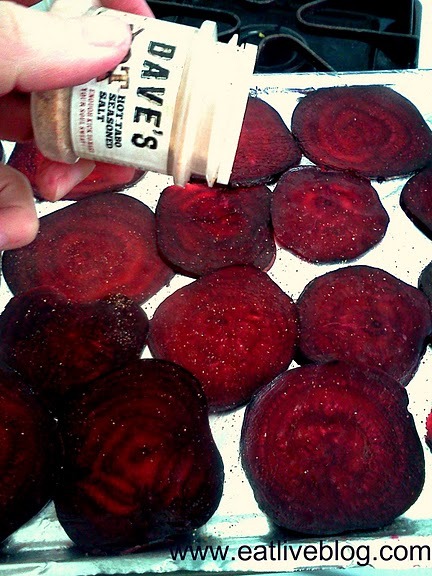 This entry was posted in Recipes and tagged appetizer, baked, beet chips, beets, chips, Dave Eats, healthy snack, homemade, potluck, recipe, salt, snack, spicy, tabasco, tabasco flavored, tabo salt, vegetable, vegetarian, veggie chips by reneeh. Bookmark the permalink. 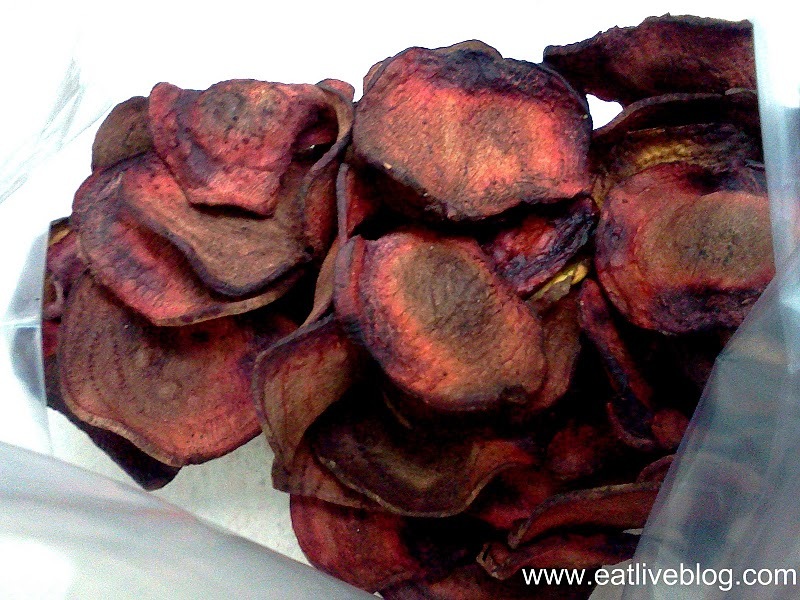 I’ve certainly had them from a bag but never made my own beet chips. Yum! I can vouch for the Dave Eats seasonings, my husband and I have used all of his flavors; original, hot , chicken flavored and the rib rub on lots or our meals and they definately add a good flavor…my husband even made some great Superbowl Sunday Shrimp with Dave’s Hot seasoning! I’m excited to try the beats! I love roasting veggies until they’re crispy like chips/fries. My favorites are green bean fries and kale chips. 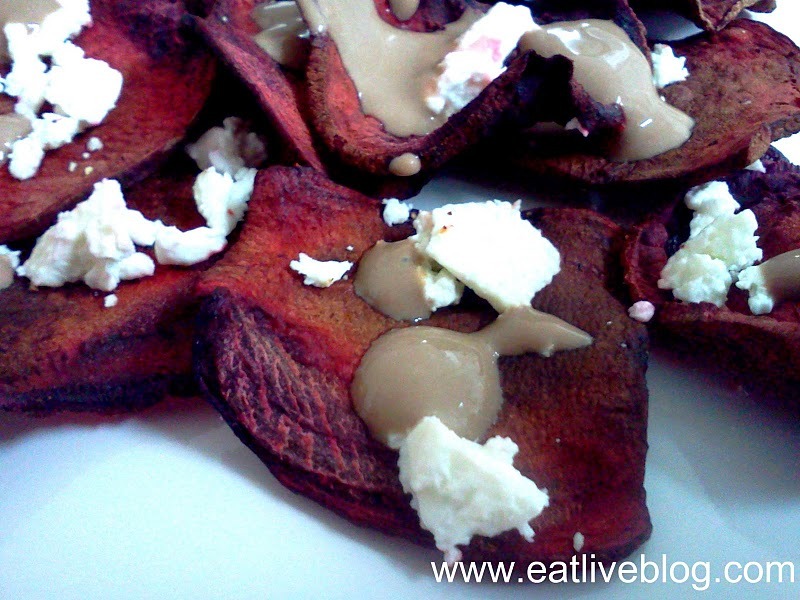 Will have to try these beet chips next! Good idea! I will certainly try this one at home. Love, love, love beet chips! These look delicious! I’ll have to check out that seasoning! Thanks Elizabeth! They were addictively delicious! And the seasoning gave it just the right kick! Let me know if you try it!